Music is magical and if you have decided to learn trumpet, then you will need a best brand to get your instrument. There are many choices around you and it is likely that you want the best in cost effective price range. Well, this is not going to taught for you if you follow this guide to choose best trumpet brands. Here things will be simplified for you. So let’s start with the fact, you want trumpet for beginners or professionals, intermediate. Which one is your need? Beginners horns brands are available for $500, intermediate $ 500- $1500 and professional horns $1500 and above. The quality is the most important thing no matter you are choosing it for beginners or professionals and established brands are not going to disappoint you on that. So it is always recommended to go for brands. A beginner should not go for professional instruments and should start with the lower levels. The reasons for this is that you never know how long you will be using your instrument and beginner will sound like a beginner only no matter how good trumpet you are having. So it is wise to start with the beginner’s horn. If you really need to start with something better, then go for intermediate horns as you will feel better. Professional horns are amazingly great, but it is not necessary that only professionals are going to blow tunes out of them. Your choices are going to decide your needs. 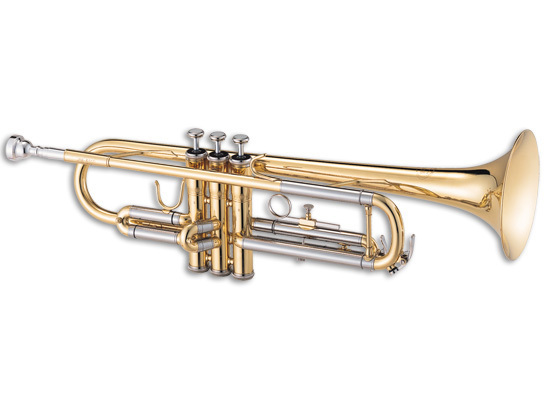 One most important factor while choosing a trumpet is the mouthpiece. This is going to make a huge difference. The majority of the beginners will start developing their skills with 7C. Many horns will come with it from the factories. This is all purpose and is an ideal choice for the beginners. Another important factor will be brass or silver and this will depend upon your personal taste. The color will not impact the sound. Some of the horns are also having slide triggers and this also have nothing to do with the sound. These are just additional features that will make your skill developing little easier. As you will learn playing trumpet you will also learn more about the instruments and which is best for you. Not to worry as there are many best trumpet brands available on which you can invest over time after you brush up your skills.